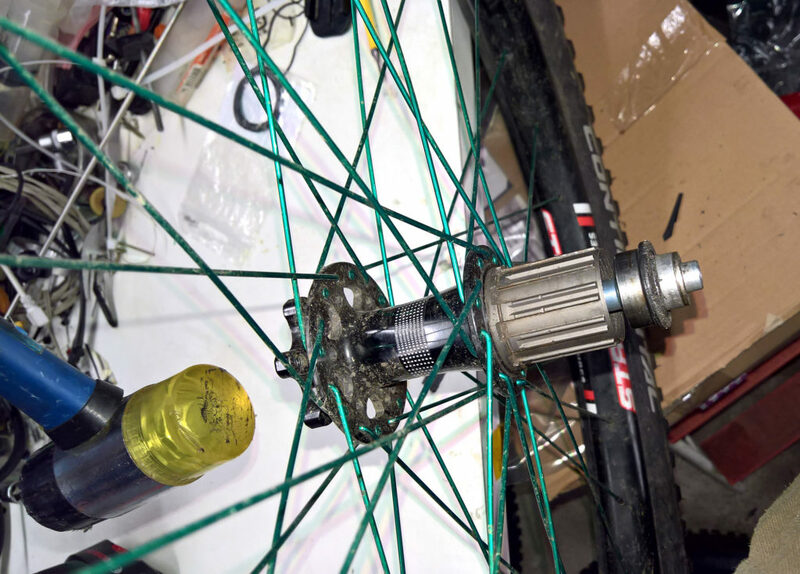 I have reused the original hubs from my 2011 Specialized Enduro Comp as rebuilt wheels with SixPack Racing spokes (double butted, 2-1.8-2mm) and Stans Flow Mk3 rims. 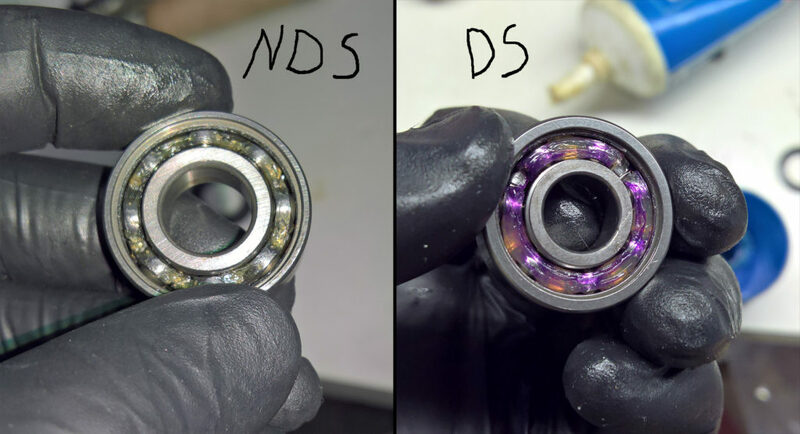 I thought that the bearings could be smoother and decided to take apart the hubs and check what kind of bearings they have. 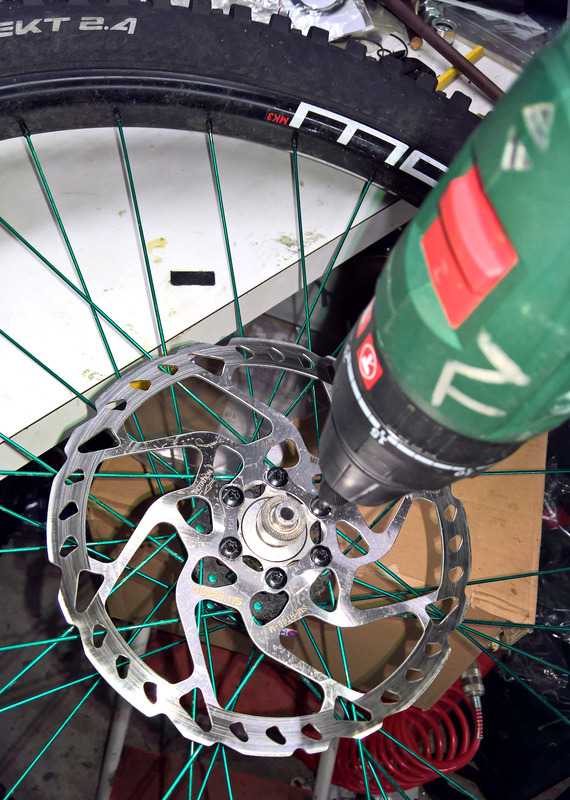 1st step was naturally to take off the brake disc to prevent any contamination. Next I used 2mm Allen key to remove the locking screws from the end caps. 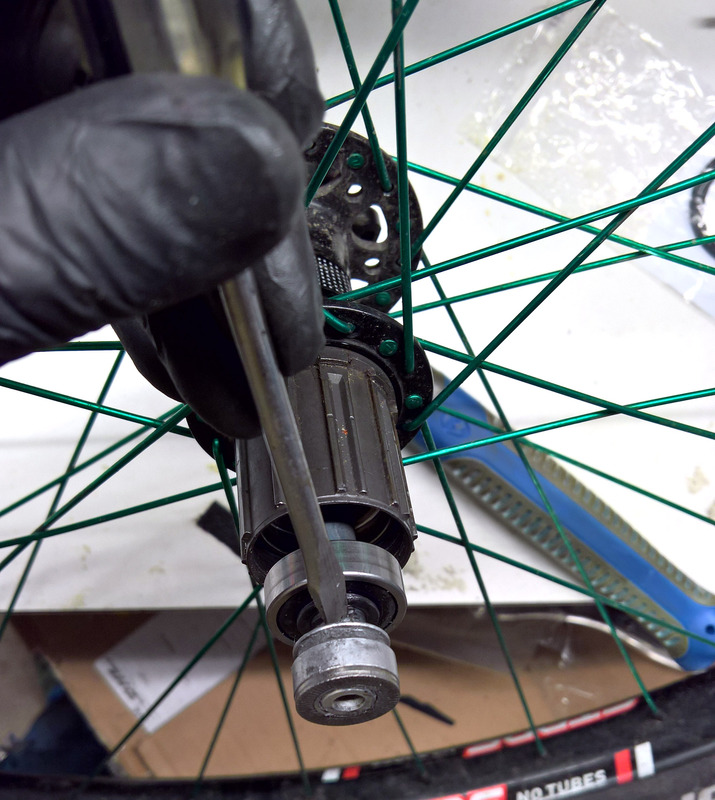 After the non-drive side (NDS) end cap was removed, I hit the axle from NDS side with a plastic mallet to loosen the drive side (DS) bearing. The drive side end cap was a little stuck, so I used a screwdriver to pry it off. The reason for the stuck end cap appeared to be some burring on the axle from the end cap locking screw. 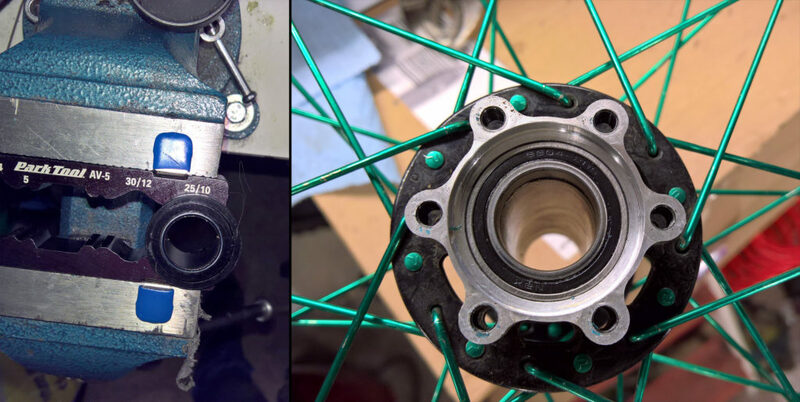 I then had to file it down to get the washer and bearing off. 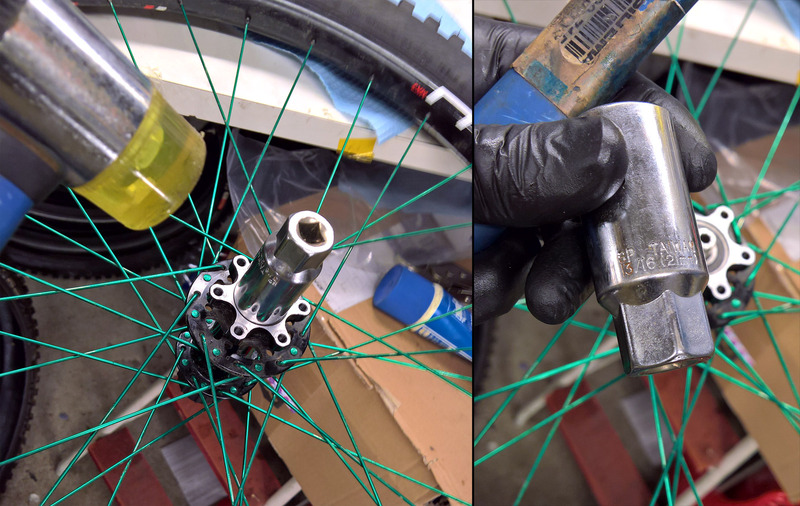 After the DS bearing was removed, I hammered the axle from that side to remove NDS bearing and pull the axle away from NDS. 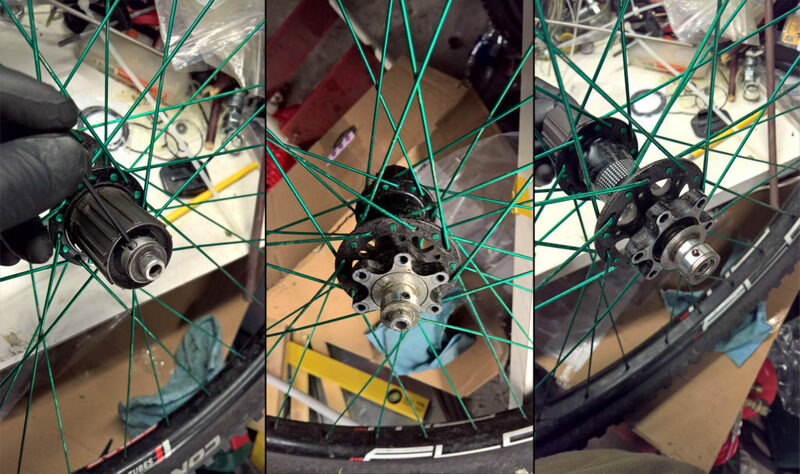 After the axle assembly was removed, I opened the bearings and they were quite ok, but a little dry. 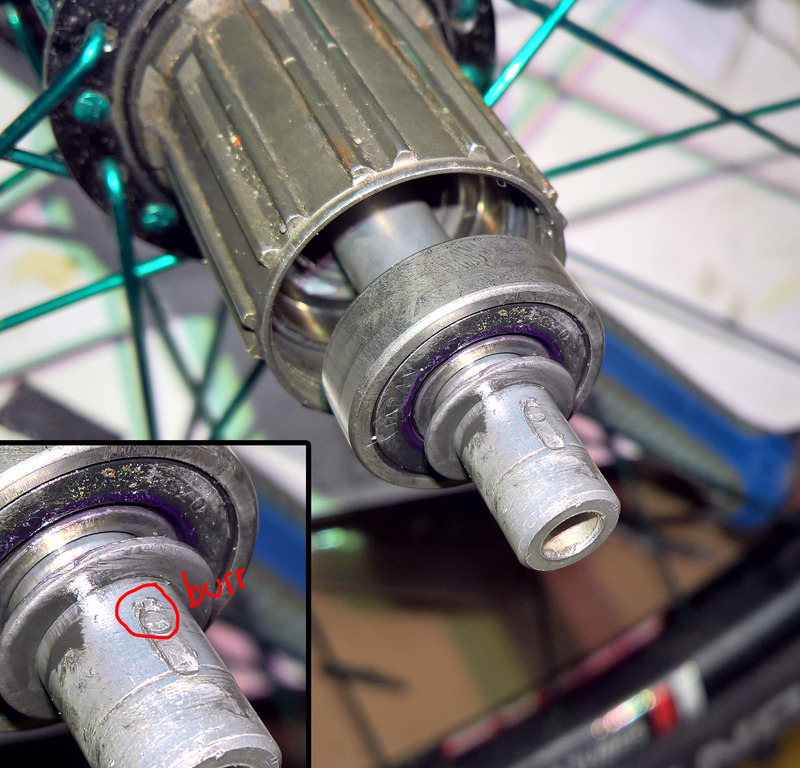 I then re-greased the bearings and then for re-assembly, I first used some socket (can’t remember which one, maybe the same as NDS or maybe a 20mm) to insert the DS bearing, then insert the axle from NDS and after the axle is in, I used a spark plug socket to seat the NDS bearing. I also wanted to check what bearings are used in front, so I used ParkTool AV-5 jaws to hold the end cap in a vise and the pulled from the rim to remove the end cap. 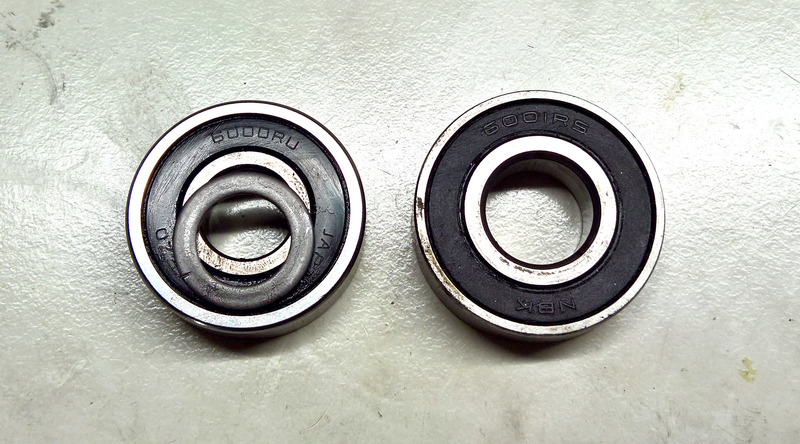 I then re-did the same process on the other side and both bearings are 6804-2RS. 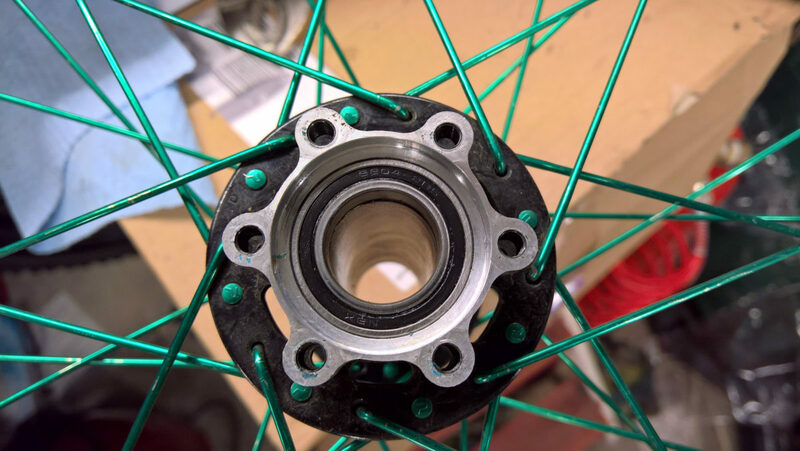 I didn’t remove them as I didn’t have a bearing puller and they were rotating quite well. Next Next post: What’s wrong with my Reverb?